Did you make mud pies when you were little? 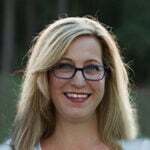 I remember playing in the yard with old butter cups, stirring dirt and water and whatever else would stick together to form perfect mud pies. I also have a small scar on the side of my face as a result of my dog objecting to dining on my tasty mud pies. Over the years, I’ve learned that actual chocolate, butter, sugar and flour work better for cooking and for the dog. 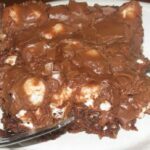 But I still like to hang onto my Southern roots, so from time to time I’ll pull out this recipe and make a Mississippi Mud Pie — or cake as the case may be here. The cake derives its name from the dense, dark brown appearance and crackling on top that supposedly resembles the mud from the banks of the Mississippi River. With a marshmallow topping and chocolate frosting, this cake offers all that you could want in a dessert. It’s chocolate, moist, gooey, rich, fattening, and easy. Preheat oven to 350°. 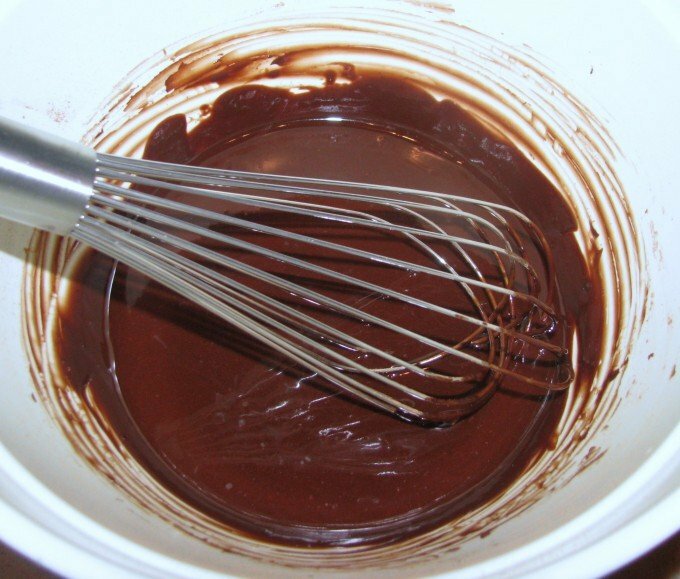 Whisk cocoa into melted butter until well blended. Add sugar and eggs, and either whisk or use a hand mixer. Beat in flour, salt, nuts (if using) and vanilla. This makes a thicker batter than typical cake batter. Scrape batter into lightly greased 13 x 9 inch dish and bake for about 25 minutes. While the cake is baking, make the frosting. 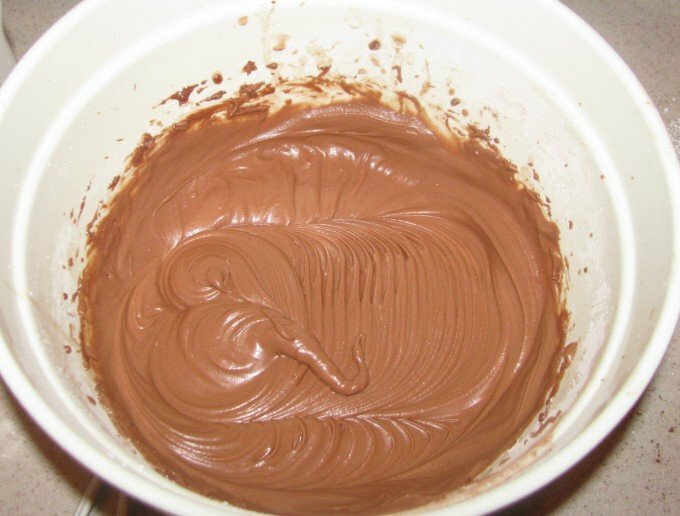 Using a hand mixer, cream the butter for a few minutes until smooth, then add the cocoa and mix well. Add the powdered sugar and vanilla. Add the milk a little at a time while beating, until the frosting is smooth and free of lumps. 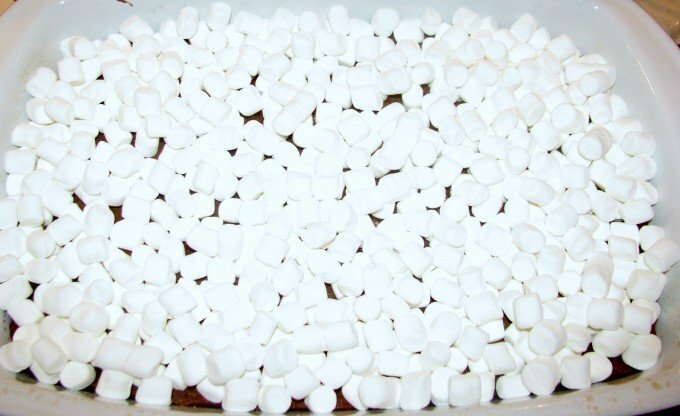 When the cake is done, remove it from the oven and immediately top with the whole bag of miniature marshmallows. 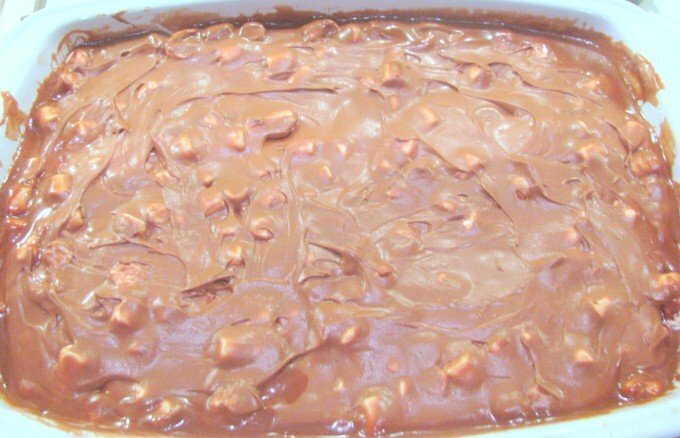 The marshmallows will melt a little and turn into the luscious goo that mixes with the chocolate frosting. Then immediately spread the frosting on top of the marshmallows. You’ll have to drop it a little at a time over the marshmallows and then gently spread, making sure the frosting covers all the marshmallows. It’s best to allow the cake to cool before cutting, but I know that’s difficult to do. So go ahead and cut yourself a piece, sit back and say, “Mmmm.” But please don’t force your dog to eat it. 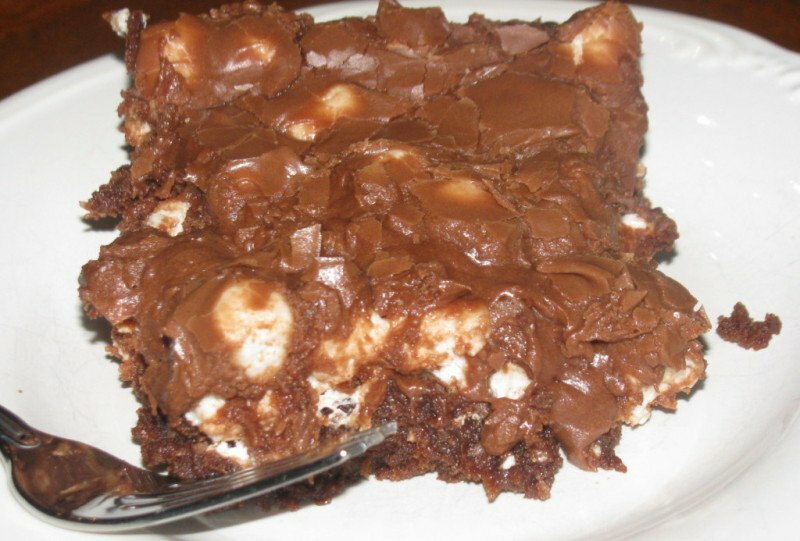 A Southern classic: chocolate cake with a fudgy frosting dotted with melted marshmallows. Whisk cocoa into melted butter until well blended. Add sugar and eggs, and either whisk or use a hand mixer. Beat in flour, salt, nuts and vanilla. Scrape batter into lightly greased 13 x 9 inch dish and bake for about 25 minutes. Remove from oven and immediately top with miniature marshmallows. Top marshmallows with chocolate frosting. Fudgy frosting that is delicious on Mississippi Mud Cake. 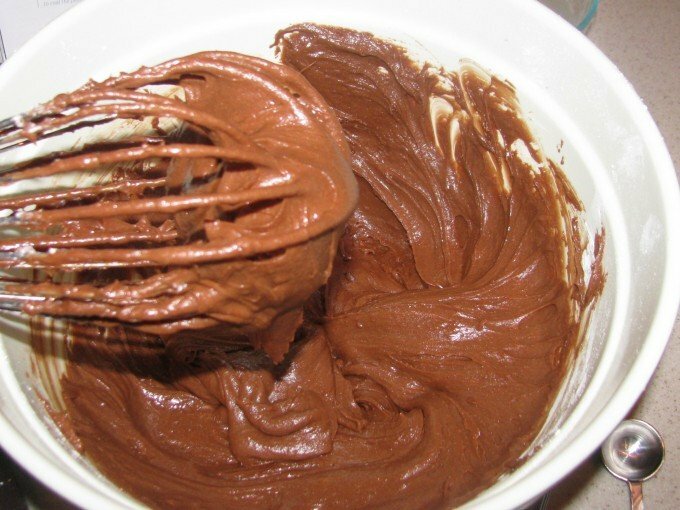 Using hand mixer, blend together 1 stick softened butter, 1/3 cup cocoa and 1 box powdered sugar. Mix in milk until frosting is smooth and creamy. Frosting will be thick, so just drop it over the marshmallows and then smooth out.